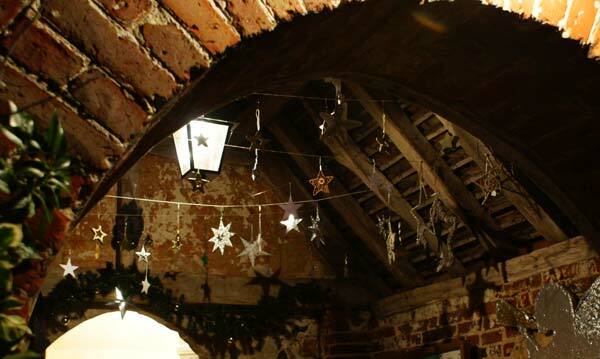 With Carol Singers in The Street, assorted festive lights on the cottages and a desperate haunted expression on the face of those (predominantly male!) 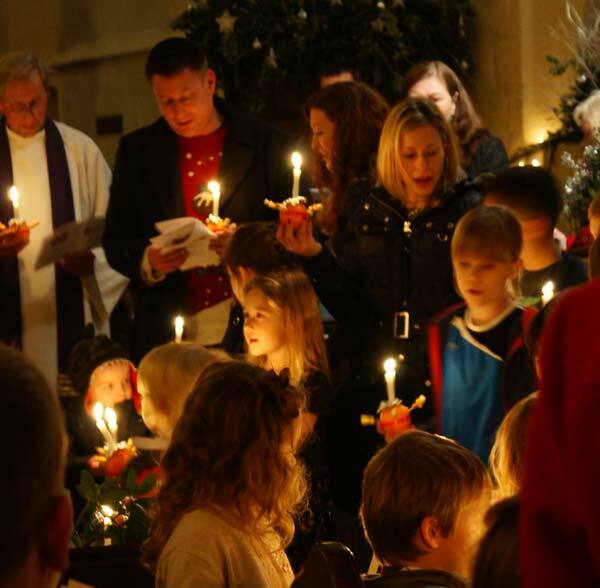 residents who still haven't managed to find the perfect present and are hoping someone comes up with an idea before Christmas Morning, the last Sunday before Christmas was an opportunity for the Rev. 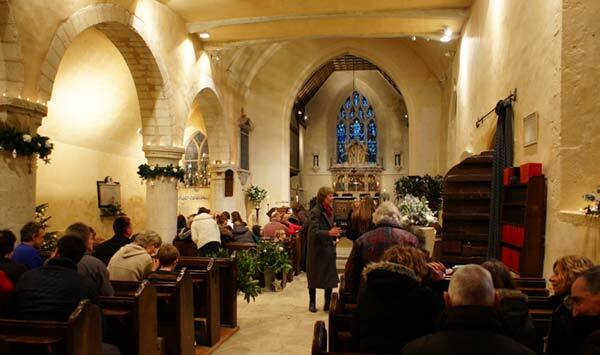 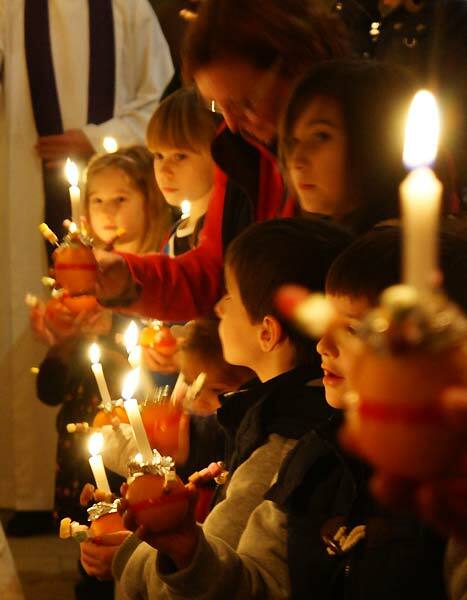 Robin Ewbank to retell the original Christmas Story to the Children of the Parish at the Annual Christingle Service held in All Saints Church. 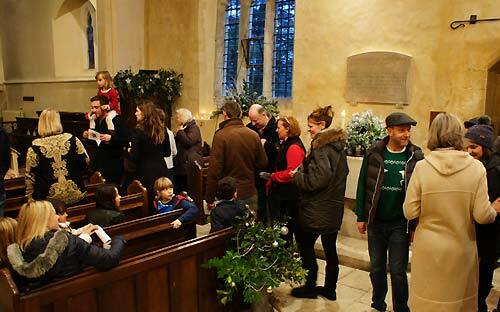 The congregation were just taking their places as the 'Biz' photographer arrived (at the correct time this year!) 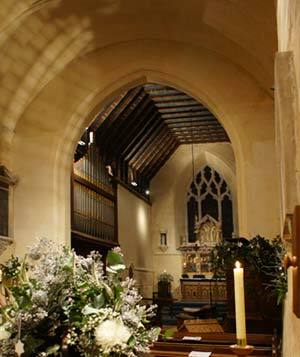 to join them under the decorations in the Church. 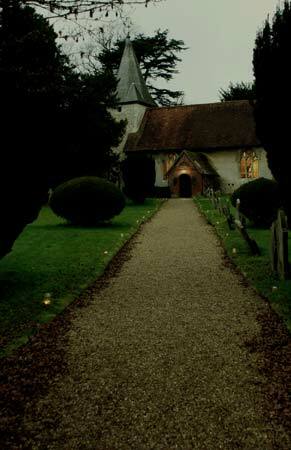 Following the Rev. 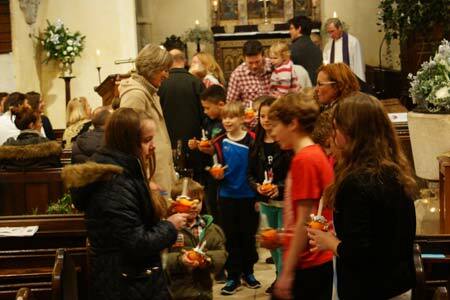 Robin Ewbank's retelling of the Christmas Story it was time to distribute the Christingles to the younger members of the congregation. 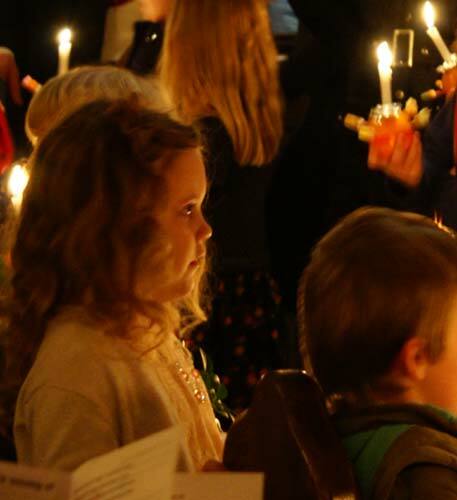 With Candles lit, the lights dimmed and the Children and congregation joined to sing 'Away in A Manger' in the flickering candlelight. 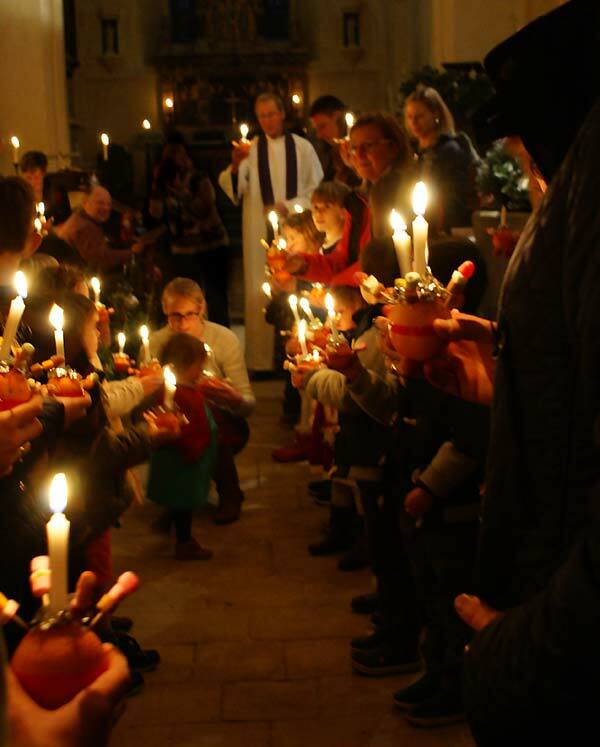 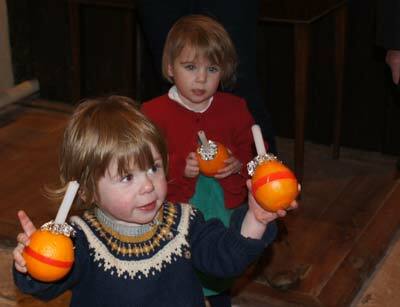 As the service drew to an end the congregation made their out under the stars in the porch to the candle lit Church path, although some of the decorations on the Christingles had mysteriously disappeared en route.